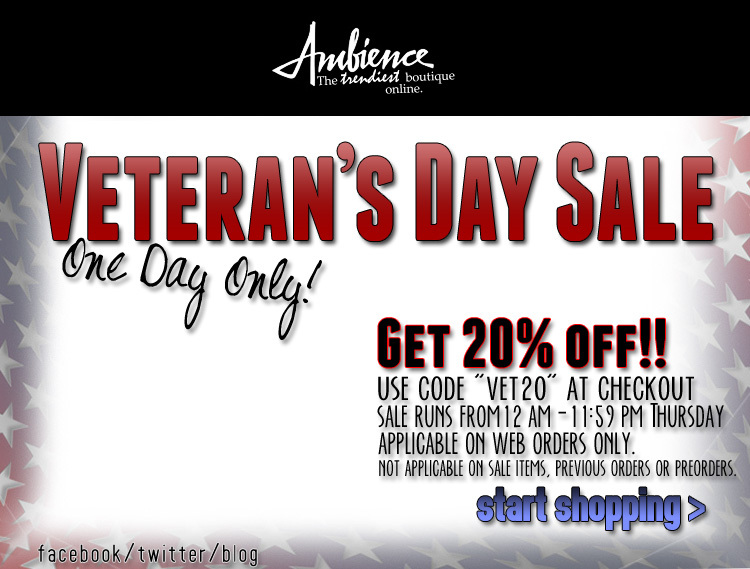 Veteran's Day Sale: One Day Only! 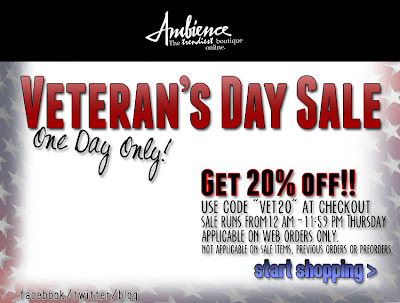 Check out our Veteran's Day Sale! For one day only get 20% off! Use code"vet20" at checkout. Sale starts 12 AM Thursday and ends at 11:59 pm. Offer applicable on web orders ONLY. Not applicable on sale items, previous orders or preorders. Don't miss out, start shopping! !